Edgar Lungu is in panic mode and has assigned his Presidential Affairs Minister Freedom Sikazwe and Eastern Province Minister Makebi Zulu to talk to Paramount Chief Mpezeni who has abandoned his support for the Patriotic Front and Lungu. A State House official has disclosed in an exclusive interview with the Zambian Watchdog that “The PF is in big problems and panicking over Mpezeni. We all just read from the Press and Amos Chanda has been trying to phone Mpezeni but he is not picking up. “We hear the Chief is here in Lusaka and Lungu now wants to see him but Mpezeni has refused. So the President has asked Honourable Freedom Sikazwe and Honourable Makebi Zulu to go to his palace,” the source said. The source said Sikazwe and Makebi Zulu’s mission to Mpezeni’s palace is to ask Mpezeni to issue a statement that he has rescinded his decision to witndraw support for Edgar Lungu. ” Lungu is in problems. Gawa Undi has withdrawn support and now it is Mpezeni. We hope the mission will be successful but knowing Mpezeni’s stubborness, they may come back empty handed’,”the source said. Early this week, Mpezeni told reporters that he will not step foot at State House because Lungu’s aides have denied him access to Lungu four times. 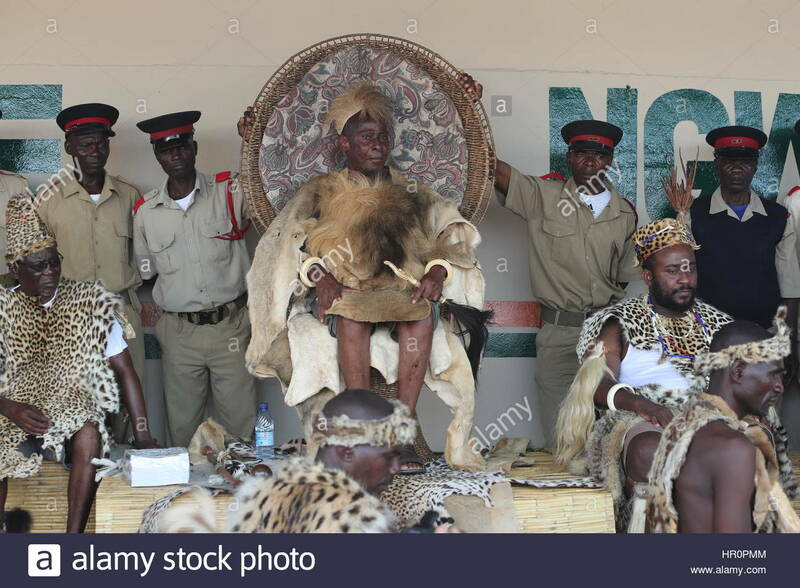 The Paramount Chief of the Ngoni speaking people said he wanted to meet Lungu who currently lives on the Presidential Plane the Challenger to tell him about his subjects’ concerns including issues to do with agriculture. Edgar Lungu is ever flying in and out of the country.